The death toll in Syria reached 151 people on the second day of the supposed Eid ceasefire, according to opposition activists. The Syrian military claimed it is respecting the truce, unless its soldiers are returning fire after being shot at. The Syrian army said that attacks by armed opposition groups began early in the morning on Friday, the first day of Eid al-Adha, one of Islam's most sacred holidays. The attacks then reportedly continued throughout the day and began again on Saturday. 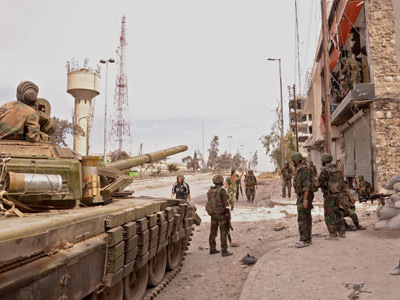 Syrian state news agency SANA reported that rebel forces targeted military compounds in several locations, including the Damascus and Homs regions, Aleppo, Daraa and Deir Ezzor. 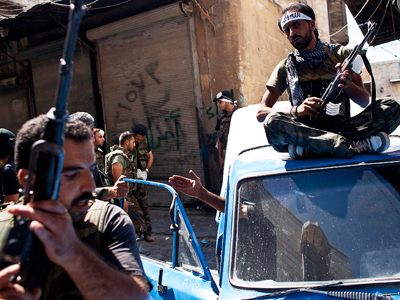 The rebels also reportedly opened fire on army patrols on the Lebanese and Turkish borders. 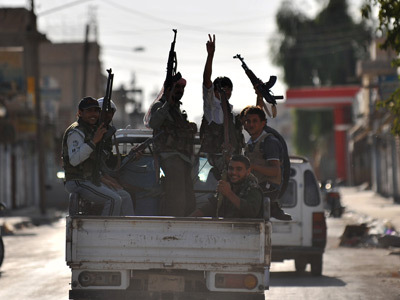 Earlier, Syrian authorities warned that armed groups would be prevented from crossing either side of the Syrian border during the three days of the planned ceasefire. 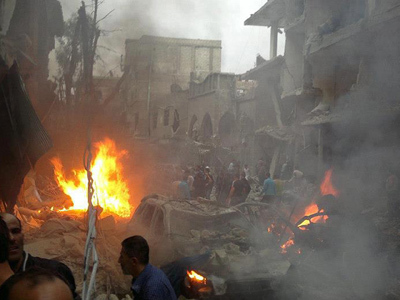 Over the last two days, car bombings took place near a mosque, a church and a kindergarten in several cities. 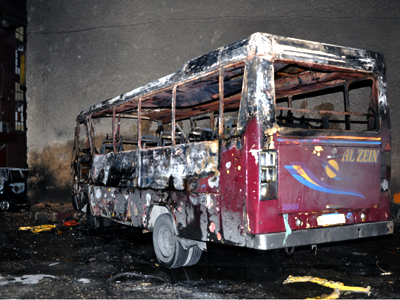 A bomb attack also occurred along the road to the Aleppo airport. 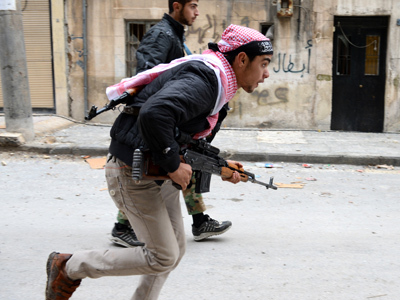 The General Command of the Syrian Army announced that at least 20 rebel attacks took place across Syria on Friday. The London-based Syrian Observatory for Human Rights reported that at least 53 civilians, 50 rebels and 43 army personnel have been killed since the supposed ceasefire began. 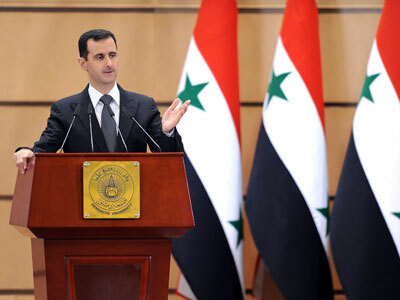 The group also said that Syrian Air Force fighter jets were grounded on Friday, but resumed operations on Saturday. “The truce is dead…We can no longer talk of a truce,” Rami Abdel Rahman, director of the London-based wathchdog told AFP. 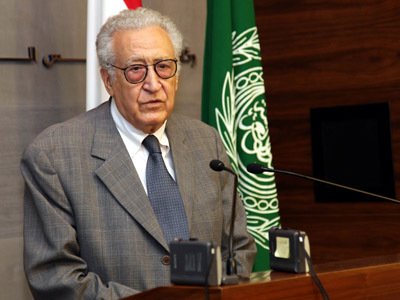 Meanwhile, commander of the rebel forces in Aleppo Colonel Jabbar al-Oqaidi said on Saturday that the ceasefire proposed by UN-Arab League envoy Lakhdar Brahimi was in vain. "This is a failure for Brahimi. This initiative was dead before it started," al-Oqaidi told AFP in a telephone interview. “It is not us who are attacking,” he claimed. But Russia’s deputy Foreign Minister Gennady Gatilov says it is the Syrian opposition who sabotaged the truce. “Opposition foiled cease-fire choosing to continue violence,” Gatilov wrote in his Twitter on Saturday, adding that another statement condemning Friday’s car bombing in Damascus got blocked “by Westerners” in the UN Security Council. The volatile situation in the country, which has entered its 20th month of unrest, has foiled the hopes of the UN Refugee Agency to distribute relief aid in Aleppo and Idlib. “Unfortunately, the Syrian Red Crescent’s warehouses failed to open on Saturday in Aleppo due to security concerns, so aid distribution there, as well as in Idlib, has been postponed till the end of Eid al-Adha,” UNHCR spokesman in Jordan, Ron Redmond, told Itar-Tass news agency.